At its regular meeting last week, the Coupland City Council revisited a few old topics and dealt with a few new agenda items. 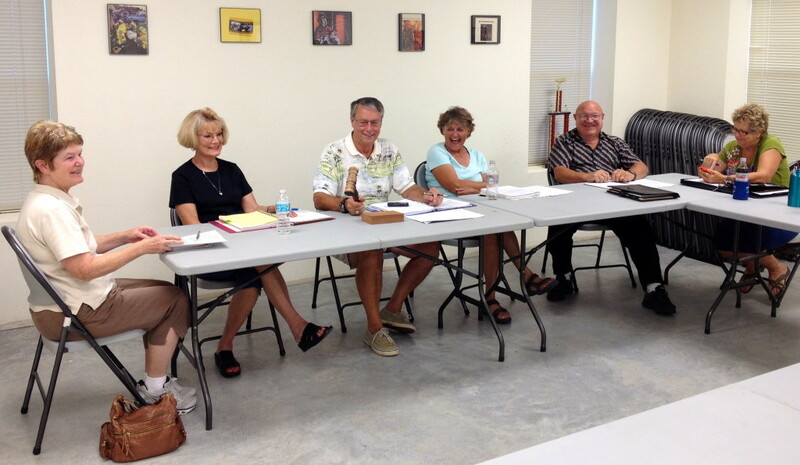 Attending the meeting were Mayor Piper and Aldermen Garry, Piper, Schmidt, and Marosko. Alderman Tidwell was unavailable. No citizens attended the meeting. Mayor Piper presented the financial report. The City has a balance of $3,882. Revenue from property taxes is expected in January, according to the Mayor. A request for a variance on the Prinz Estates (see the previous meeting) was not received after all. However, the Mayor reported that despite their original offer to process the application, the County refused to consider their application to establish a new subdivision within the city limits because the City has no inter local agreement with the County. The Prinz family will have to submit their application to the City instead of the County. There was some discussion about the process. Getting back to the issue of road maintenance, the Mayor reported that the County has refused to assist with road maintenance. Apparently, the County might be willing to take on road maintenance in exchange for land on either side of the road. There was some discussion about the City’s options. Ms. Garry was charged with the task of investigating potential contractors for pothole repairs on CR 458. There was some concern about the potential of liability to the City resulting from deteriorating roads and the Mayor will check with the City’s lawyer regarding this. Following up on the sales tax election, the Mayor reported that according to the State Comptroller, the new sales tax becomes effective on April 1, 2014. He said the ¼% tax for road maintenance must be renewed by the voters every 4 years. There was a brief discussion about the process for amending ordinances. The Mayor submitted a form for the Aldermen to use to submit requests to have an proposed amendment added to future meeting agendas. In response to a citizen request, the Mayor initiated a discussion of the possibility of street lights paid for by the city. There was no interest on the part of any of the Aldermen to pursue the issue further. They noted that property owners are free to arrange to have lights installed on their own property, as some already have, at their own expense. It was also noted that there are no funds in the city budget to pay for street lights. There was also general consensus that a dark sky is one of the attractions of living in a rural setting. On the topic of events and recognition, the City Secretary (yours truly) reported that the Coupland Times has established a page on its website for the general public to access official city documents. (Click here to view the page.) At this time, only the subdivision ordinance is available. Other documents will be added as needed. Once the City’s official website is established, the page will be replaced with a link to that site. The next meeting of the City Council will be on January 9. This entry was posted in Local Government, What's New? and tagged city council meeting, City of Coupland Texas on December 18, 2013 by Stewart Dale Spencer.